Have you been planning for a date night this weekend, or been wanting to surprise a special someone with the gift of luxury? 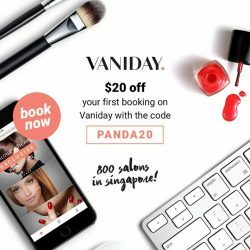 Vaniday wants you to enjoy $20 off when you book for a session of pampering with them, ranging from manicure to facial and massages for both men and women during the Great Panda Sale! To grab this deal, simply enter the code upon checkout and fix the appointment for yourself or your loved one NOW!